Today's card is one that I made for donating to the Necessities Bag Sacramento. 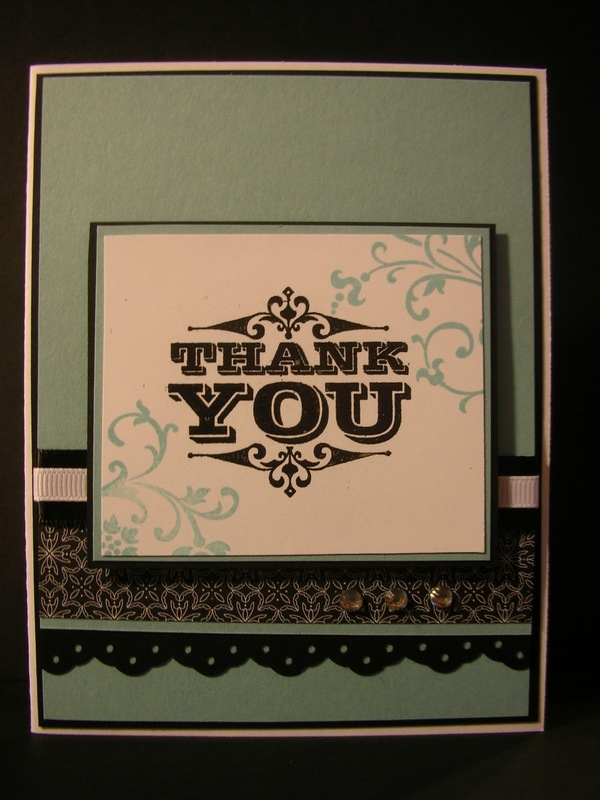 Just like last Friday's card, I headed to my Designer Series Paper scraps for this card as well. 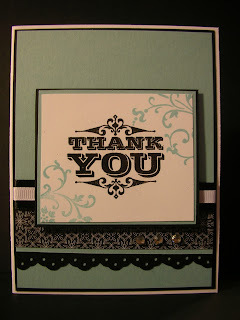 The stamp set - Engraved Greetings - is one of the stamp sets from the current Idea Book & Catalog that Stampin' Up! is offering for free during Sale-A-Bration. Now that's what I call economical - free stamp set and using scraps!